The College has a vigilant committee against instances of ragging. The Committee takes measures to repeatedly remind students of the consequences of ragging, and ensures that parents and new students are made aware of their rights. 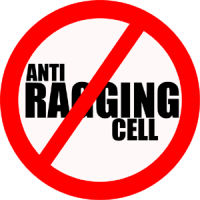 Anti -Ragging Committee is constituted in this college to prevent ragging and to take anti-ragging measures as per the guide lines issued by the Supreme Court of India and UGC. An Act to Prohibit ragging in educational institutions in the State of Kerala. Preamble.- WHEREAS it is expedient to prohibit ragging in educational institutions in the State of Kerala. Short title, extent and Commencement. (1) This Act may be called the Kerala Prohibition of Ragging Act, 1998. (2) It extends the whole of the State of Kerala. (3) It shall be deemed to have come into force on the 23rd day of October, 1997. (ii) asking a student to do any act or perform something which such student will not, in the ordinary course willingly, do. Prohibition of ragging.- Ragging within or without any educational institution is prohibited. Penalty for ragging.- Whoever commits, participates in, abets or propagates ragging within, or without, any educational institution shall, on conviction, be punished with imprisonment for a term which may extent to two years and shall also be liable to a fine which may extent to ten thousand rupees. Dismissal of student.- Any student convicted of an offence under section 4 shall be dismissed from the educational institution and such student shall not be admitted in any other educational institution for a period of three years from the date of order of such dismissal. (1) Whenever any student or , as the case may be, the parents or guardian, or a teacher of an educational institution complaints, in writing, of ragging to the head of the educational institution, the head of that educational institution shall, without prejudice to the foregoing provisions, within seven days of the receipt of the complaint, enquire into the matter mentioned in the complaint and if, prima facie, it is found true, suspend the student who is accused of the offence, and shall, immediately, forward the complaint to the police station having jurisdiction over the area in which the educational institution is situate, for further action. (2) Where, on enquiry by the head of the educational institution, it is proved that there is no substance prima facie in the complaint received under sub-section (1), he shall intimate the fact, in writing, to the complainant. Deemed abetment.- If the head of the educational institution fails or neglects to take action in the manner specified in section 6 when a complaint of ragging is made, such person shall be deemed to have abetted the offence of ragging and shall, on conviction, be punished as provided for in section 4. (1) The Government may, by notification in the Gazette, make rules for carrying out all or any of the purposes of this Act. (2) Every rule made under this Act shall be laid, as soon as may be after it is made, before the Legislative Assembly, while it is in session for a total period of fourteen days, which may be comprised in one session or in two successive sessions, and if before the expiry of the session in which it is so laid, or the session immediately following, the Legislative Assembly makes any modification in the rule or decides that the rule should not be made, the rule shall, thereafter, have effect only in such modified form or be of no effect, as the case may be, so, however that any such modification or annulment shall be without prejudice to the validity of anything previously done under that rule. (1) The Kerala prohibition of Ragging Ordinance, 1998 (2 of 1998) is hereby repealed. (2) Notwithstanding such repeal, anything done or deemed to have been done or any action taken or deemed to have been taken under the said Ordinance shall be deemed to have been done or taken under this Act.